يقع فندق شقق ذا ويسلر ، المصمم ليناسب كل الضيوف سواء كانوا من رجال الأعمال أو السياح، في مكان ممتاز في أحد أكثر المناطق تفضيلاً في مركز مدينة كوينزتاون. يقع مركز المدينة المثير على بعد 0.5 Km فقط. سوف يعشق النزلاء موقع هذا الفندق، فهو قريب من أهم المعالم السياحية في المدينة كمثل سوق البحر المتوسط, متجر الخرز, سوبرماركت فريش تشويس . إن الخدمات الممتازة وحسن الضيافة العالي في شقق ذا ويسلر تجعل إقامتك تجربة لا تنسى. لضمان راحة ضيوفه، يقدم الفندق الخدمات التالية: واي فاي مجاني في جميع الغرف, مجهز لذوي الإحتياجات الخاصة, مرافق مخصصة لذوي الاحتياجات الخاصة, تخزين الأمتعة, واي فاي في المناطق العامة . ادخل إلى واحدة من الغرف 20 وتخلص من عناء نهار طويل بمساعدة مجموعة كبيرة من الخدمات كمثل تلفزيون بشاشة مسطحة, اتصال لاسلكي بشبكة الإنترنت (مجاني), تدفئة, مكتب, شرفة/ تراس الموجودة في بعض الغرف. يقدم الفندق مجموعة رائعة من الخدمات كمثل تأجير معدات التزلج, دروس في التزلج, التزلج على الجليد، لجعل إقامتك تجربة لا تنسى. مهما كانت أسبابك لزيارة كوينز تاون، فإن شقق ذا ويسلر هو الخيار الأفضل لإقامة مثيرة وممتعة. Great place to stay (my second time)! 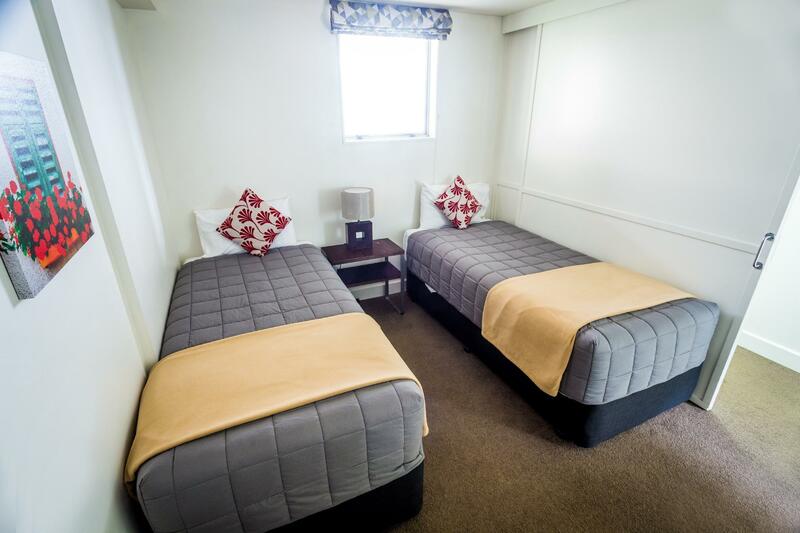 If I come again to Queenstown, I'll stay here again - it's clean, roomy, nice layout. Roy, the staff, is really great. So helpful, friendly, took good care, and made me feel welcome. I recommend staying here. 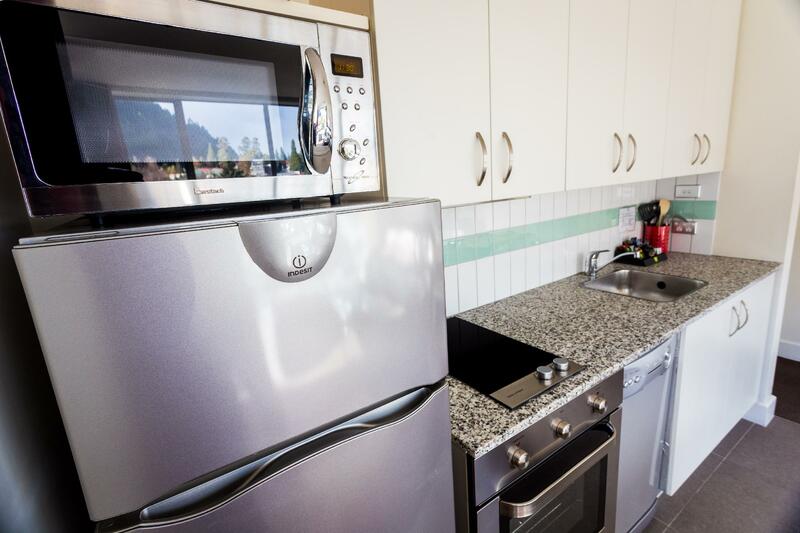 The Apartment is furnished with all the amenities you feel like you are at your own home. A short walk to the town center and you can see the Gondola from the apartments. The staff ( Najib, Mel and Co.) are very helpful and will go all out to assist you. We stayed here 3 times over our holiday around 2 multiday hikes. We stayed in 3 different apartments. All were clean and comfortable with great views from the balcony. They also happily stored our excess luggage while we were hiking. The staff were always pleasant and helpful. We will stay here again. Highly recommended! very good accomadation, well postioned within walking distance of town and supermarket. close walk to local attractions, only downfall was the roof and walls in bathroom were abit dirty that's all, needed a good wash down. 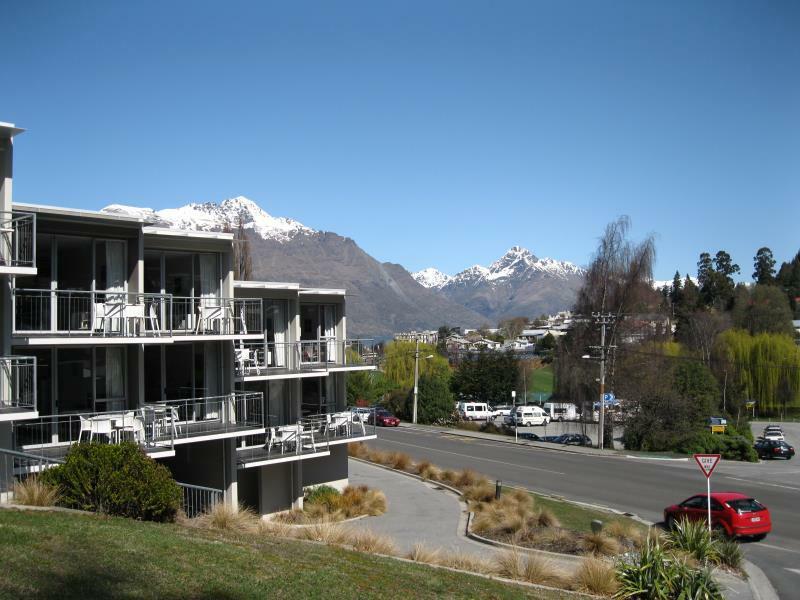 The apartment is within 8 min walk to Queenstown city centre. Very near to a supermarket. Our apartment came with full amenities, washing machine, cutleries and full kitchen plus a very reliable (free) WIFI connection. Mel and Najib who managed the place are very nice and accommodating. Managed to get us on lower floor though a last minute request. We stayed here for 2 nights at 2 bedroom apartment. The apartment is clean though not exactly spacious. We'd reached the apartment after check in timing and the counter was closed. However, owner is kind enough to leave our check in details at the counter door. Thank you for the kind gestures! Short drive to queenstown central, conveniently located! Thamk you for the stay! Great place to stay. Nice, clean and comfortable accommodation, not far from downtown, nice staff, was pleased. I'll stay here again next time I'm in Queenstown. Great location but the apartment we stayed in (20) needs an upgrade. Fridge door shelf was broken, another door in fridge was broken, the fridge door opened the wrong way way making it very difficult to access the fridge. Despite it being a 2 bedroom apartment (ie, for 4 people), there was only seating for 2 people at the dining table. A dishwasher drawer didn’t pull out freely. There is no air conditioning. The blockout blinds allow a lot of light to come into the rooms. We were disappointed with this apartment. We were allocated a room with disability access, which sounded great to begin with as it meant no lugging around luggage up and down the stairs, but it also meant completely soaked bathroom every time you shower as there is only a shower curtain that doesn't even cover the shower area completely. Also, the layout wasn't very well thought out as in the "bedroom" is right when you walk in to the apartment, with no windows apart from the small one right next to the door which you can't keep open as someone could literally just reach in and open the door. The living room had no fly screen (which seems to be common in NZ) which meant letting insects in when you want to open the sliding doors/windows to get some cool air in the summer. We saw pictures from other rooms and the showers all had shower screens, and even the room next door to us had windows in the bedroom area. So maybe we were just unlucky with getting the "bad" room. Service and the friendly staff were great! They helped in every way they could for us. They came into the room daily to give us fresh towels if needed and emptied rubbish bins! Have nothing bad to say! Would definatley stay here again! Been coming to Queenstown for nearly a decade and this accommodation for what you get and location was easily the best value for money. Friendly, unintrusive staff.....came back to a clean apartment every day after being up on the slopes. The location is only a few minutes walk into town and really close to a supermarket. I will most definitely be staying here again. 5 out of 5!!! The apartment was perfect for the 3 of us. Clean , comfortable and 5 min walk to the centre. Lots of stairs so be sure to ask for an apartment on the lower level if you have lots of bags or an elderly with you. It’s very near to town centre. 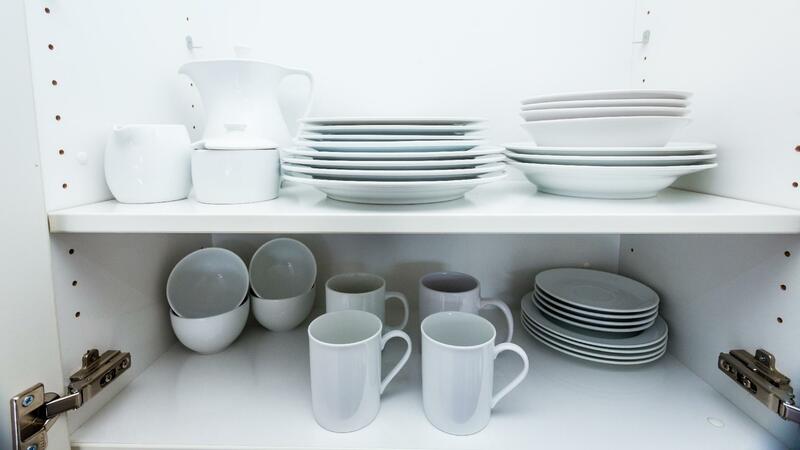 There have all the things from kitchen tools to washing machine. Cleanliness and beautiful deco. Carpark are under own premises. Not convenient for those bring large luggage which need to claim staircase to the door. Great location , staff a delight , fully kitted out . when i went to the apartment , the reception lady said they are full house and need to sent me to another apartment which belong to their company. Why they wait till i come then they inform me? then i ask her if she can pass me the key or hand us the key at the apartment. She say no, she ask me go for lunch and then travel back here to collect the key and their travel back to their assignment apartment. This is a very bad experience for us. She added that but we upgrade u to 3 bedroom... I dont think is an upgrade to us, firstly we dont need 3 room, secondly its a split level unit..which is not what we desire. the apartment is located 5 minutes walk to the town.comes with own parking lot under our apartment hence we usually walk to the town. saved on the expensive parking fee. the room comes with 1 double bed, 1 single bed in the bedroom while there is another sofa bed in the living room hence it can accommodate up to 5 people max kitchen is well equipped. bathroom comes with washer. equipped with dvd player and you can borrow dvds from the front desk.